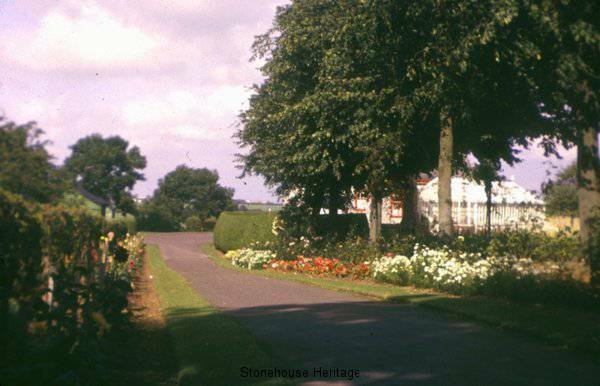 The public park was made possible due to the kind generosity of a former native of Stonehouse, Alexander Hamilton. 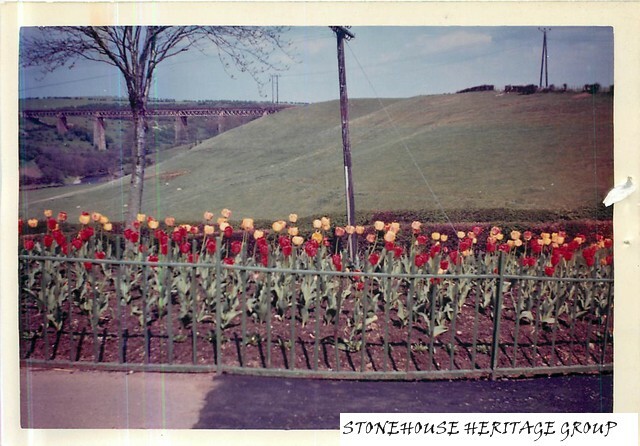 Born and brought up in Stonehouse, he later made his fortune as head of the Victoria Carpet Company in Kidderminster and later making khaki uniforms for the troops in the Great War. 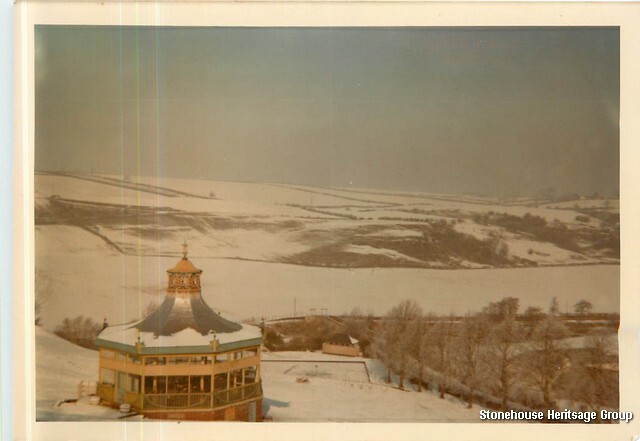 It was his wish that he could leave something for the village that he visited annually and loved so dearly. 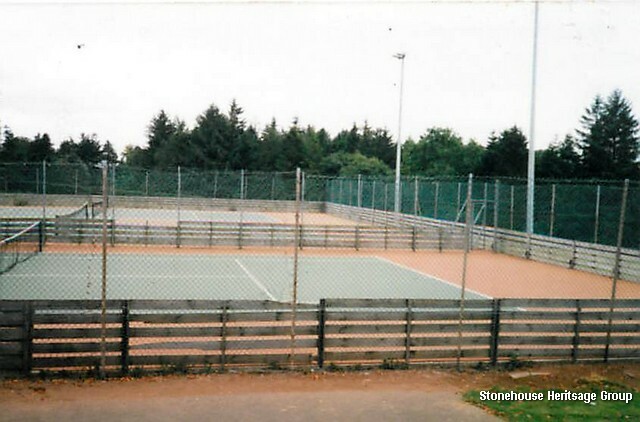 Thus the council were left the task of finding a suitable site. 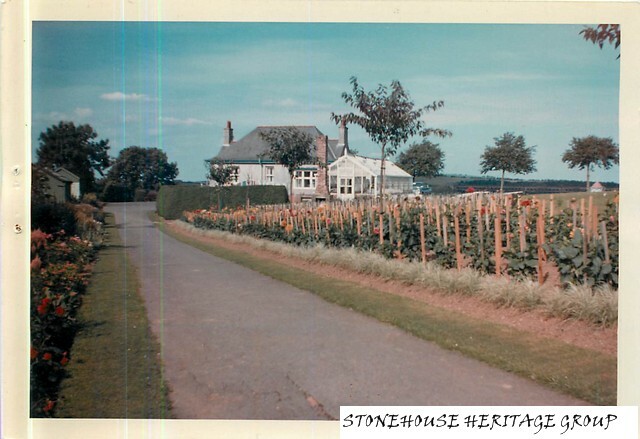 After much discussion and argument a ten acre site was purchased for £500 from the land of Holm farm. 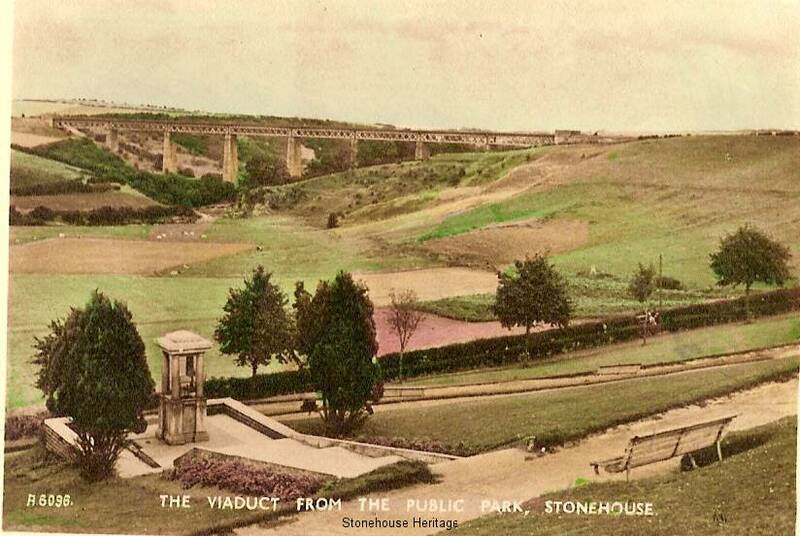 Many people thought a flatter area would be more appropriate and others even thought Mr Hamilton would have been better spending his money on a factory for Stonehouse. 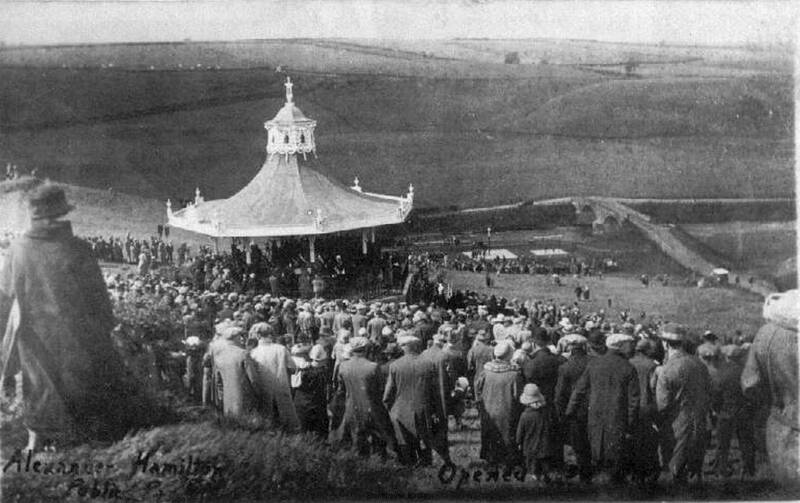 On 30th May 1925 Alexander Hamilton fulfilled his dream and presented the park, bandstand and fountain to his native town. 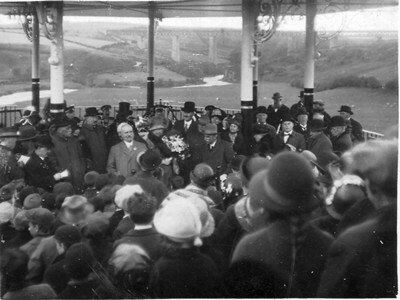 He died four years later. 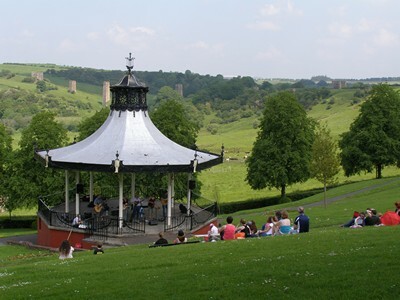 The park does not however take its name from the benefactor but from his grandfather and namesake Alexander Hamilton. The park itself was probably better known for the longest chute in Scotland, opened in 1933 by Councillor Thomas Wilson and later dismantled in 1967 for safety reasons. 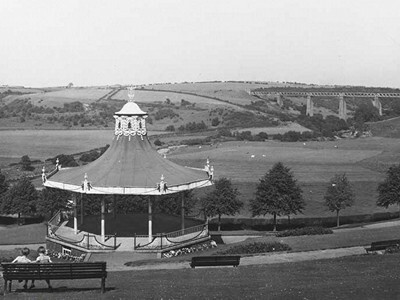 Sadly this park is only a shell of its former glory but the bandstand still stands majestically as a silent memory of its illustrious and historical past. 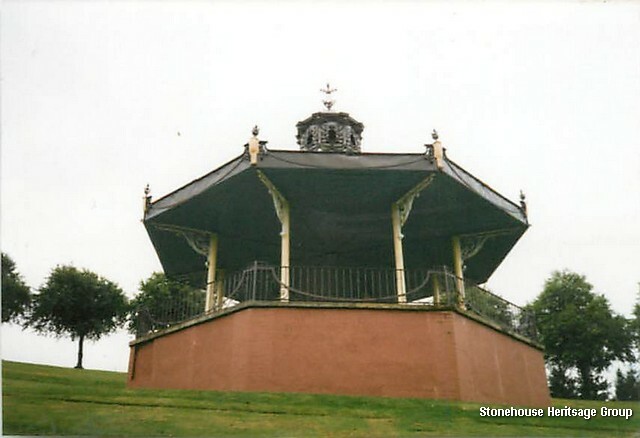 Stonehouse Bandstand originated from the Scottish Exhibition of Natural History, Art and Industry which was opened in Kelvingrove Park, Glasgow on May 3rd 1911 the , by the Duke and Duchess of Connaught. 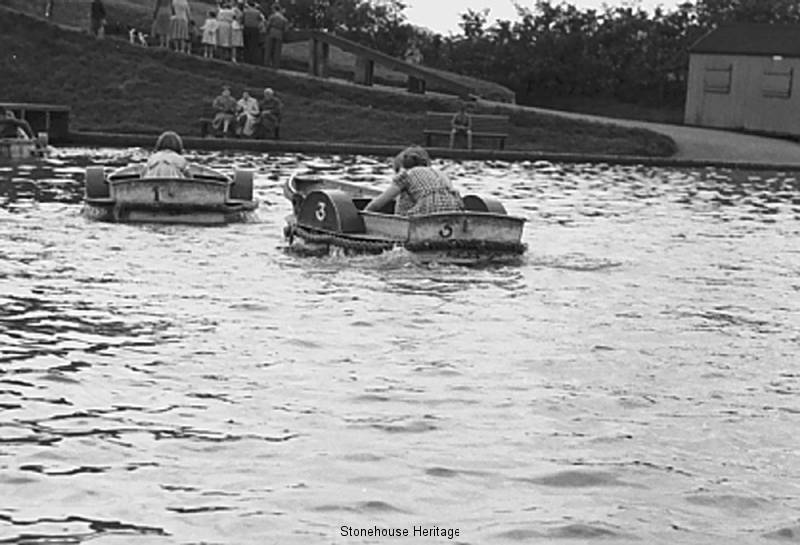 The exhibition itself attracted nearly 9,400,000 visitors from around the world, with an admission price of a shilling or 16d if you were under 16 years of age. 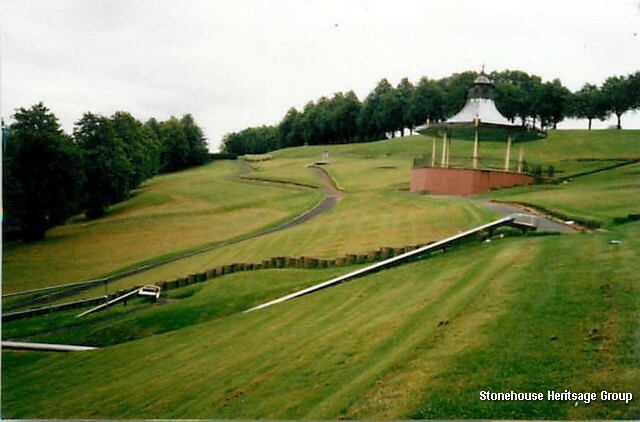 At a cost of £143,000 to finance, one of the aims according to the official catalogue “was to keep alive, in the breasts of all who reverently look upon them, the love of their native land – the ancient kingdom of Scotland – and will sustain affection for those who have made their nations history”. 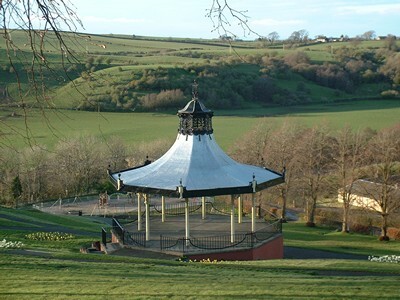 Purchased by Fourth District Council from Glasgow District Council in 1924, Stonehouse bandstand now commands a magnificent panoramic view of the Avon Valley from the Alexander Hamilton Memorial Park in Stonehouse. 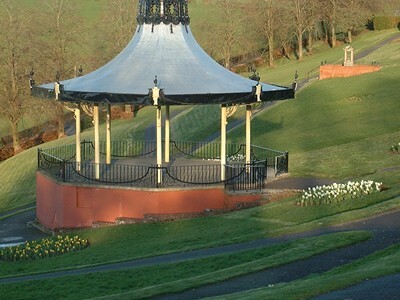 When the Alexander Hamilton Memorial Park was opened on 25th May 1925, the newly purchased bandstand was the centrepiece of this popular Lanarkshire tourist attraction, entertaining audiences with bands from all over Scotland, including Stonehouse’s own Pipe Band (World Champions 1909) and Silver band (Scottish Champions 1919). 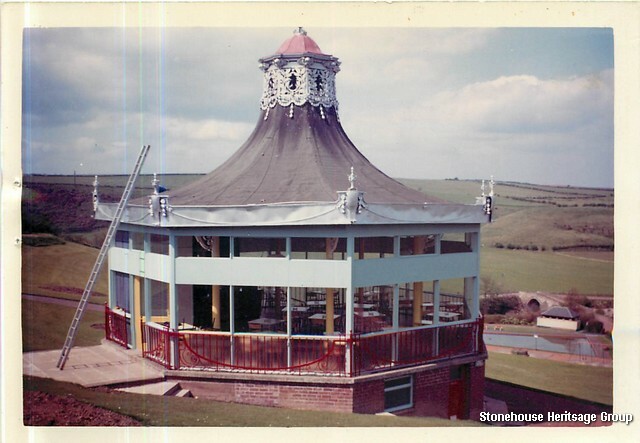 The bandstand was temporarily altered to incorporate a tea room but was later reinstated to its original state due to attacks of vandalism, and has more recently entertained residents and visitors with bands from far and wide.